Apex Systems‘ account manager Brandon Rose reached out to us in early September. His IT staffing company wanted to plan a day of volunteering and had heard about our service. 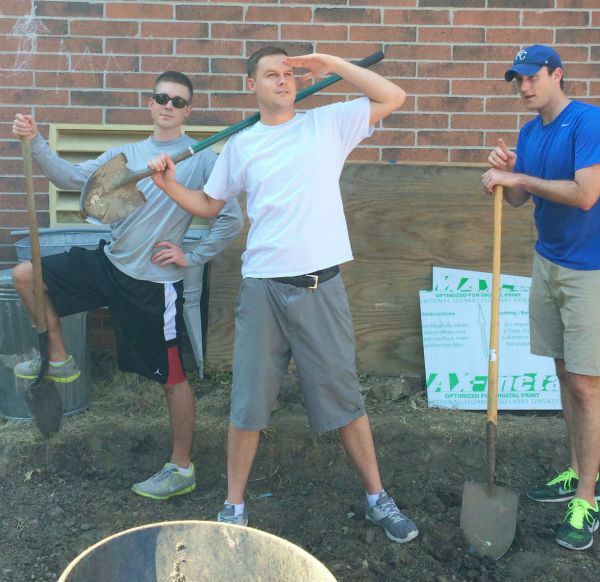 After going over the various charities we work with, the business came up with the idea of gardening at Gillis before putting on a wiffle ball game with the kids. From there, I’ll let Brandon tell the rest. “We had a wonderful time. Our office received a lot of positive feedback, both internally and externally. We truly enjoyed our time at Gillis, as well as building relationships with the staff and children. 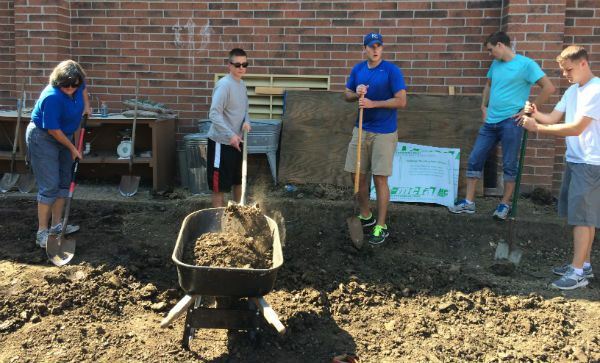 Apex supported Gillis by digging a foundation for their new garden patio. The patio will eventually be converted into an outdoor kitchen and eating area. Gillis children will be able to harvest foods from the garden, prepare and then serve meals on the patio. Following that, we organized a group wiffle ball game with the kids. At the end of the game, our office donated new sport equipment for the kids. During the weeks leading up to the 26th, our workers donated roughly $400 of new sports equipment such as footballs, basketballs, soccer balls, kick-balls, wiffle ball sets and more.